Looking to store a classic car as safely and securely as possible? Perhaps one or more business vehicles not currently in use? Or the kind of plant machinery you just don’t have the space to accommodate on your premises? Whatever your vehicle storage requirements, we’ve got the storage solutions you need. We understand that secure vehicle storage can be a complicated and expensive issue. Particularly when looking to store larger or more expensive vehicles long-term. You need to know your vehicle is safe, but would prefer not to pay over the odds to keep it that way. Sound familiar? We’ve got the solution – come to us for your vehicle storage needs and enjoy our exclusive service package! 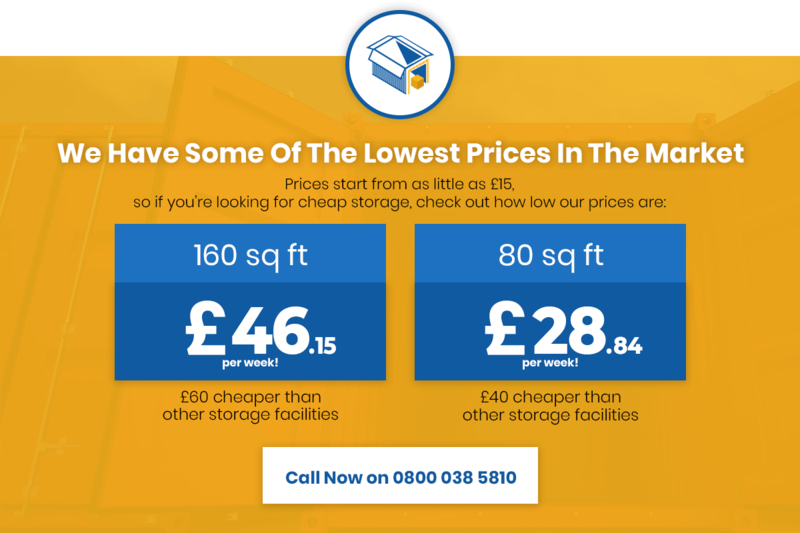 Our primary motivation for going into business was to bring London and the Southeast a more dynamic, accessible and affordable approach to personal and business storage. High-quality services with the utmost safety and security, though for prices at least 30% lower than market averages. Unlike most, we don’t focus the majority of our efforts on our biggest customers and short-change the rest. When you work with us, we’ll provide you with total care, attention and commitment – whatever your storage requirements. Our standard car and vehicle storage services cover modern and classic cars, domestic and commercial trailer storage, horse boxes and so much more besides. We can even offer premier quality boat storage services, ensuring it stays in pristine condition while not in use. Larger vehicles can be stored at our facility, along with all types of recreational vehicles including caravan storage and motorhome storage. And of course, we also offer storage units of an ideal size for storing motorcycles, quad bikes and other vehicles. On the commercial side of things, we can take care of your organisation’s cars, vans and other vehicle on a short or long-term basis. We offer safe and secure lorry storage, units suitable for plant equipment and even heavy-duty building machinery. Whatever you’re not planning on using for a while, we can take care of it in the meantime. Once again, all of our vehicle storage services are backed by our comprehensive guarantees of outstanding service and the lowest possible prices. What’s more, if you can’t find the exact service you require listed on our website, please get in touch to discuss your needs. Chances are that if it’s on two or more wheels, we’ve got the perfect place to store it!